Are you a freelance engineer in need of a refresher? Got an upcoming booking on unfamiliar kit? 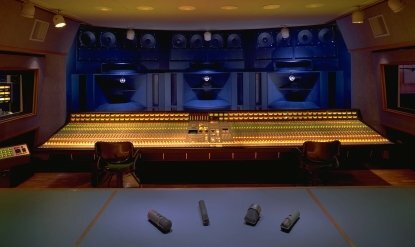 Trying to get a job in a studio  but inexperienced on the gear? TISO further offers product, application and skills update training to freelance engineers and assistants. Arranged on demand, and conducted in a privately leased commercial studio facility, this is an effective solution for operators with a desire to gain or improve specific skills to qualify for a new position, or lacking necessary experience for a forthcoming contract. This package will also suit studio owners unable to close their facility for on-site training purposes, or wishing to individually train new staff requiring some crucial skills.  Course conducted in conveniently located facilities, replicating your normal operating environment.  Attendance cost can be reduced according to numbers.  Individual training can be arranged.  Flexible package customised to your specific needs, with considerable hands-on practical time.  Fulfils the need for brief training, instead of the usual commercial course times, lengths and costs. "I am very pleased with the SSL Avant training course that Simon has (twice now) provided for us at Media Centre Lume. Simon´s ability to present digital mixing and surround monitoring, and his detailed knowledge of the Avant console is exceptional. I also admire his skills in training international students using precise language and easily understood English. We have already agreed a third course for next Autumn."  Matti Kuortti, Professor of Sound Design, School of Motion Picture, Television and Production Design. The Integrated Solutions Organisation courses are not an alternative to the full-time 'audio production' courses offered by formal educational establishments etc. to industry novices; instead our training is complementary to such courses, comprising specific and important products or applications not necessarily covered in-depth at the college.